The psychedelic movement first started in the mid 1960’s within the hippie subculture in San Francisco. It had strong impact, not just on music, as well as on many aspects of popular culture with typical designs featuring abstract swirls of intense color with curvilinear calligraphy reminiscent of Art Nouveau. This includes type of clothes, language, art, literary works and also philosophy. The word “psychedelic” coined by British psychologist Humphry Osmond) is based on Greek words meaning "mind manifesting or mind revealing ". This is a consequence of drug induced hallucinations, distortions of perception, and in psychotic-like behavior that is caused by drugs (notably LSD) that were popular with the youth culture of the time. By the end of WWII in 1945, there came about a post-war economic growth in the U.S, which also brought about a tremendous spike in the birth rate, known as “the baby boom”. Moreover, between 1945 and 1957, about 76 million babies were born in the United States of America and by the middle of 1960s, most of these children were then young adults. As young people do, these “baby boomers” questioned America’s materialism as well as conservative cultural and political norms. During the 1960s a youth movement evolved, seeking to establish an equitable society that is free from discrimination. The direct consequences of this movement in the society are - the feminist movement and also Black movement. Psychedelic movement was informed by the belief that “altered states of consciousness produced by psychedelic drugs are a way to obtain artistic inspirations”. The Psychedelic art movement is much similar to the surrealist movement for the fact that it prescribes a technique for gaining inspiration. While the mechanism for surrealism is observance of dreams, a psychedelic artist depends largely on drug generated hallucinations. Nevertheless, both movements have got strong ties to important breakthroughs in science. Meanwhile, the surrealist was fascinated by Freud's theory of the unconscious; the psychedelic artist is literally "turned on" by Albert Hofmann's discovery of LSD. The Psychedelic movements held a powerful effect on amusing books, the - artists Robert Crumb who put together an underground brand of comic book art referred to as “underground comix” was undoubtedly one of the major proponents. Comic books driven by the Psychedelic movements were usually satirical in kind, therefore witnessed different artistic qualities of many other Psychedelic works as well. The majority of Psychedelic works are popular for their visually remarkable styles. Nevertheless, the movement equality attracted significant controversy for their links to illegal substances. Banners for music festivals for example Woodstock are common instances of Psychedelic Art posters. Music bands such as “The Who and the Jimi Hendrix Experience” as well showcased Psychedelic Art on several of their album covers. The initial types of "psychedelic art" are literary instead of visual, even though you can find a few examples in the Surrealist art movement, which includes - André Masson and Remedios Varo. It would equally be pointed out that majority of these originated from writers associated in the Surrealist movement. Antonin Artaud wrote of his peyote encounter in “The Voyage to the Land of the Tarahumara” 1937. Henri Michaux also wrote “Misérable Miracle” 1956, to express his investigations with mescaline along with hashish.Aldous Huxley's “The Doors of Perception” (1954) and also “Heaven and Hell” (1956) continue to be valid reports on the psychedelic experience. 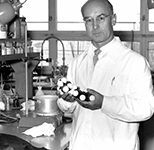 Albert Hofmann together with his friends at Sandoz Laboratories wers very much convinced upon the discovery of the power and promises of LSD in 1943. For twenty years following the breakthrough discovery of LSD which was marketed by Sandoz being an essential drug for neurological and psychological research. Hofmann realized the drug's potential for poets as well as for artists; he then began to take great interest in the German writer Ernst Jünger's psychedelic encounters. Early artistic trial with LSD was carried out in a clinical context by a Los Angeles based mental health expert by name Oscar Janiger. Oscar Janiger invited a group of different fifty (50) artists for each one to do a painting from life experience on subject of the artist's selection. These were eventually told to do the same painting whilst under the control of LSD. The two art paintings were compared by Janiger along with the artists. The artists virtually unanimously revealed LSD to be an improvement to their creative imagination. Consequently, it appears that psychedelics would definitely be very warmly accepted by the American counterculture. Beatnik poets Allen Ginsberg and also William S. Burroughs became captivated by psychedelic drugs in early 1950s as shown by The Yage Correspondences of 1963. Moreover, the Beatniks acknowledged the factors of psychedelics just as valuable inebriants in indigenous American religious practices, and they also had an awareness of the perception and belief of the surrealist. So, they understood that altered states of consciousness played a major part in Eastern Mysticism. They were very fashionable to psychedelics just as psychiatric medicinal drug. LSD was effective trigger to electrify the eclectic blend of concepts put together by the Beats into a cathartic, mass-distributed panacea for the heart and soul of the succeeding age. In conclusion, there is certainly almost unanimous agreement among historians that the 1960’s undergone the most critical social movements of the 20th century. By mid 1970s, the psychedelic movement is already generally being co-opted by conventional industrial and commercial forces, integrating the psychedelic into the system of capitalism that the hippies had a hard time to change. Finally, The early years of the 1970's observed advertisers employing psychedelic art to promote a countless variety of consumer products that actually made the word "psychedelic" on its own underwent a transition which shortly implies "anything in youth culture that may be unusual, fashionable or colorful”.